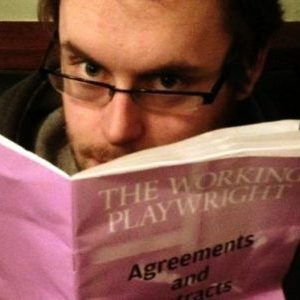 Jon Brittain is a playwright, comedy writer and director. His critically acclaimed play Rotterdam earned him a nomination for Most Promising Playwright at the Evening Standard Theatre Awards 2016 and won the Olivier Award for Outstanding Achievement in an Affiliate Theatre in 2017. It was adapted for Radio 3 this year. Other work includes the cult hit shows Margaret Thatcher Queen of Soho and its sequel Margaret Thatcher Queen of Game Shows, the Fringe First Award-winning play A Super Happy Story (About Feeling Super Sad) and an upcoming musical adaptation of David Walliams’ book Billionaire Boy. He directed John Kearns’s Fosters Award winning shows Sight Gags for Perverts and Shtick and the follow-up Don’t Bother, They’re Here and Tom Allen’s shows Both Worlds, Indeed and Absolutely. He is currently a staff writer on Netflix’s The Crown.